Another collar necklace outfit inspo. This one is more casual and fun! 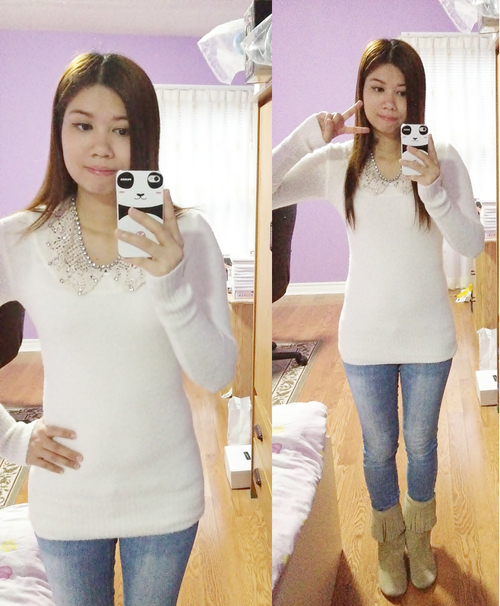 Knit sweater from Suzy Shier, jeans from Stitches, beige fringe boots from Spring and knit collar necklace from Forever21. Super casual outfit where the necklace totally brings out the focus point of the outfit!